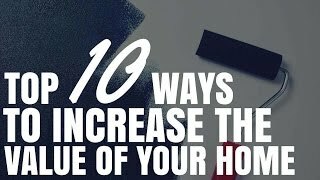 Here are 10 of the top ways to increase the value of your home. Everything from adding a room, to getting a better real estate agent. Let’s have a look at the top 10 ways to increase the value of your home. 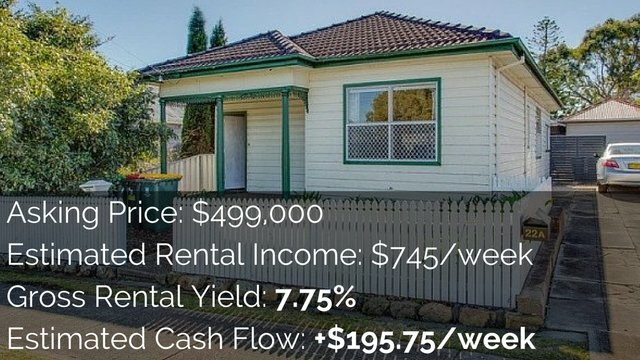 Hey, I’m Ryan from onproperty.com.au, helping you find positive cash flow properties. Active investors actually go ahead and they try and increase the value of their home or of their investment property above and beyond what the market is doing. So rather than just purchasing a property and hoping that it goes up in value over time, you can do things to your property to increase its value and that’s what we’re talking about today. 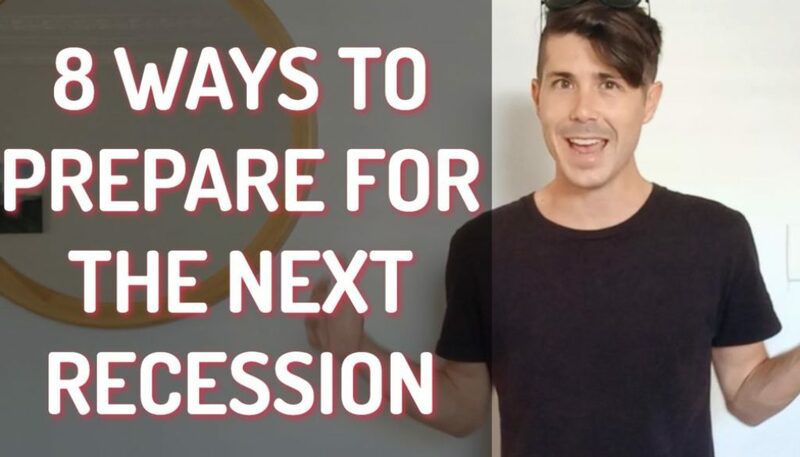 Now, I’ve called this “The Top 10 Ways to Increase the Value of Your Home”, but this can apply to investment properties as well and it’s not like you should do number 1 then do number 2. You need to assess which of these is best for your situation because given your property, given your circumstances, given your strategy, one maybe better for you than another. So let’s go through, have a look at these and hopefully these will give you some ideas. One of the top ways to increase the value of your home is to actually add a room to that home. Now, that could be adding a room within the existing structure just by changing the layout or it could be adding a room by doing some sort of extension on to the property. Adding a room can be a great way to add value to a property. If you can take a 2-bedroom house and make it a 3-bedroom house, then that’s likely going to appeal to a broader set of the market and people are going to be willing to pay more for a 3-bedroom house than a 2-bedroom house. Same if you go from 3 to 4 bedrooms. Now, this can change depending on your area. Whether or not you actually want to add a bedroom. Obviously, if you’ve got a 5-bedroom house and you’re adding a 6th bedroom, that could actually not add as much value as you would think because there’s less people that would want a 6-bedroom house compared to a 5-bedroom house in a lot of areas.So you need to assess your market and we’ll talk through this, but understanding what the market wants and giving them what they want is really important when it comes to increasing the value of your house. So, first thing is adding a room. If you can do that within the existing floor plan, existing structure, then that is great. If not, then look at potentially doing an extension to add a room. Number 2 would be a kitchen renovation. They say the kitchen is the heart of the home. One of the most important places for you to put on a show for anyone looking to purchase or rent your property. If you have a nice kitchen, then that can increase the value of your home. If you have a really bad kitchen, that can decrease the value of your home. So the kitchen is a very important spot and if you’ve got a poor kitchen, that is something I would definitely look at. Number 3 is bathroom renovation. From what I’ve heard, this tend to be more expensive and can deliver less of a return on investment than a kitchen renovation, unless you’re very smart with it. So, be careful here, but a good bathroom renovation can make a huge difference to a property. I have been to so many properties and they’ve got these old, pink bathrooms and let’s face it; in this day and age, who wants to live in a pink bathroom? That can easily be fixed through a minor renovation. Get some tile paint, paint over those pink tile or change the vanity in there at the same time. You could do a minor bathroom renovation to update it or you could go ahead and spend some more money and do a larger bathroom renovation if you feel that it needs it and you’re going to get the return on investment. With all of these sorts of things, talk to your local real estate agents, try to get an idea of, “Okay, if I do this, what kind of value will it increase my property by?” they’re going to have eyes on the market. They’re going to know what it’s going to increase the value by. And also, look at comparable sales. Look at comparable properties in your area. Do they have nice bathrooms, don’t they? Because they’re the people you’ll be competing with when it comes to sell your property. Number 4 of the top 10 ways to increase the value of your home is a fresh paint/carpet. It is amazing what fresh paint and fresh carpet can do to a house. Especially, if you’ve got a house where the colors aren’t neutral. For example, if you’ve got a pink room or you’ve got bright blue carpet or you’ve got things that are just going to turn people away. The majority of the population can’t look at your home and imagine how nice it might be if you put floorboards in or tiles or you just had neutral carpet. Or what would it be like if you took away that deep red feature wall that no one really wants, would it be nice? They just see it for what it is. So, if you can give yourself a fresh coat of paint with a nice bright neutral color, you can really improve the perception of your property. Same goes for carpet or flooring, if you’ve got disgusting flooring, people assume that that carries over to the rest of the house. So have some nice flooring, nice carpet. Keep it neutral. You may love pink rooms, but the majority of the market probably doesn’t, so keep it neutral. Number 5 would be to potentially do an extension to the property. Maybe put a box on the back like Jane talks about in the Ultimate Guide to Renovation. Where you can create that open plan living experience. You can add to the floor coverage of the house. What’s the word I’m looking for? Square meterage of the house. So look at potentially adding an extension to the property if you need to create extra space in the property. Number 6 would be outdoor entertaining or landscaping. Depending on your area, adding a deck can add value or just improving the landscaping of the area. Maybe you need some new grass. Maybe, at the front of the house, you need to do some landscaping so that the street appeal is up there. So definitely consider potentially putting in an outdoor entertaining area, depending on where you live, or adding in some landscaping. Number 7 would be subdivision. This is when you take one block of land, you go through council, you get it subdivided into 2 separate titles, so 2 blocks of land. This can add value to it as a whole. Now, subdivision isn’t cheap in most areas. It is going to cost you thousands, tens of thousands of dollars. So you need to make sure that once you subdivide it, is it going to be worth more after the subdivision than before the subdivision. So before you ahead and do it, obviously, make sure that you’re looking at that. Number 8 is to give the market what they want. Again, this comes back to assessing the area that you’re in. What does the market want? If they want 3-bedroom houses or 4-bedroom houses, how can you give them that? If they want an en suite, can you potentially take large room that you have, add an en suite, which is going to add the desirability of your property? Talk to real estate agents in the area. Look at the demographics of the area and tailor your property to the area that you had purchased in. Again, looking at comparable sales or looking at what’s on the market and how much they’re selling for. Look at properties that are like yours and then look at properties that are prices slightly higher than yours. What’s the difference between each of those properties that can improve the value of your home? Number 9 is to get better photos. If you’re selling your property, the majority of people who are going to look at your property will look at it first on the internet. If you’ve got poor photos, if you’re displaying your property poorly, then that is going to affect how many people come through your property, how many bids you get, what the competition is, etc. So, if you’re selling your property, take the time to invest in good, professional photos because people are making decisions whether or not to even take the next step and go to an open house through the photos on the internet. So make sure that they can get a feel for the property. Make sure they want to come and see it and want to see more of it. So get some great photos. And number 10 would be to get a better agent. Really great tip that I got from Ben, the buyer’s agent, who’s my buyer’s agent of choice. 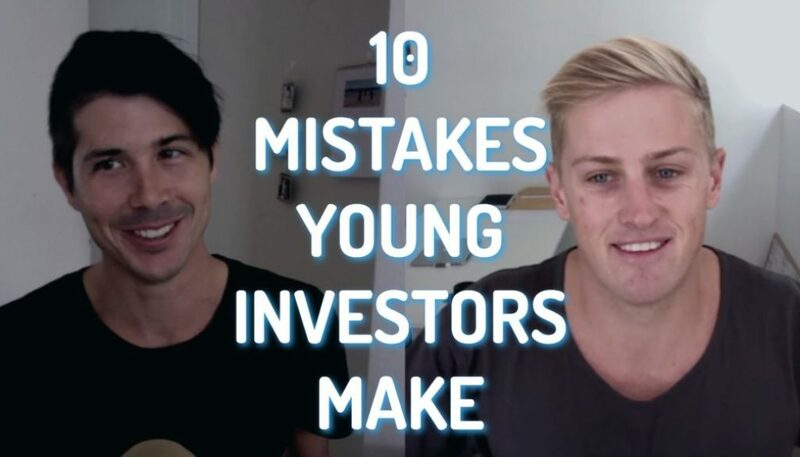 He was saying that you can look at ratemyagent.com.au, I think it is, and you can look at best agents in the area who have the most sales, as well as the agents who tend to get the best price as well. So before you choose your agent, before you just sign on any old agent, go ahead, go to ratemyagent.com.au and then check out the agents for your area. Choose the best agents for the area and the ones who get the higher price. 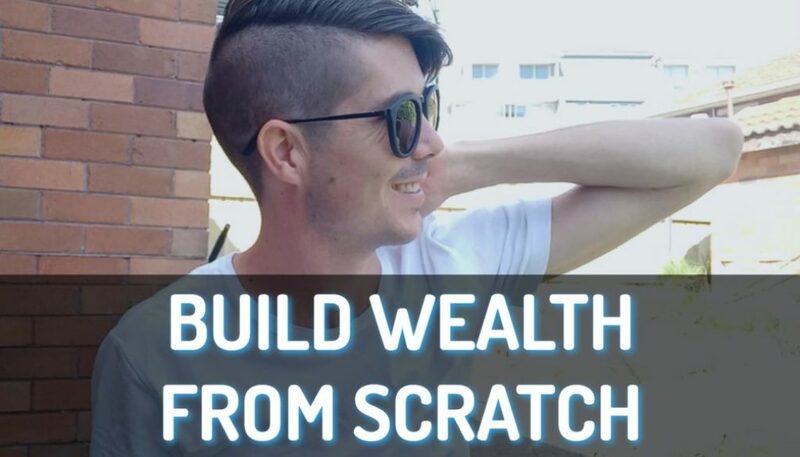 That can actually increase your value in terms of thousands of dollars or tens of thousands of dollars without you even have to do anything to the property. And so, there you have the top 10 ways to increase the value of your home. We talked about adding a room, doing a kitchen renovation, bathroom renovation, fresh paint/carpet in a neutral color, doing an extension, outdoor entertaining/landscaping – improving that. We talked about subdivision, giving the market what they want, having better photos and choosing the best agent for your area. You may notice that I haven’t listed things like pools because often, they don’t add value, they can even subtract value. Same goes with solar panels. People think they add value, but they probably don’t add as much as they cost. Even things like granny flats, I haven’t seen them add significant value to a property. Often, they’ll add as much value as they cost. 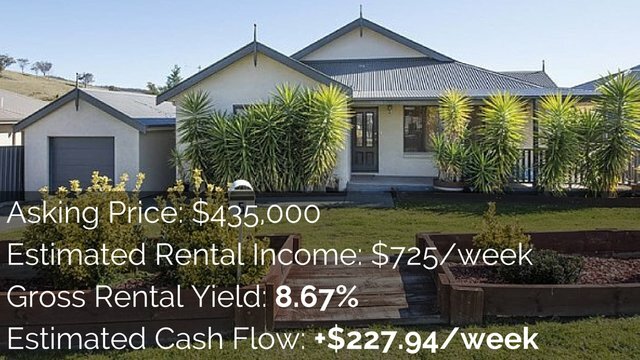 And obviously, they can add significant rental yield, but in terms of adding to the value of your property, there’s not enough data to support that idea that granny flats can add significant value to your property. I hope that this has been helpful. I hope that this gives you some things to think about when it comes to your investment properties or your home that you live in. They are some ways that you may be able to increase the value. If you do need a buyer’s agent, if you are looking to further your investment career, expand your portfolio and you want someone to help you choose a great property in a great area, then I do recommend Ben Everingham from Pumped on Property, who’s my buyer’s agent of choice. He is offering listeners of On Property a free strategy session with him where you can talk through your goals. You can talk through what you want to achieve and he can give you ideas on how you can move towards those goals. And then, if you’re a great fit for each other, then you can hire him and work with him as a buyer’s agent. Absolutely love working with Ben and recommending him to all the On Propertiers. So go ahead, check him out and get that free strategy session by going to onproperty.com.au/session. 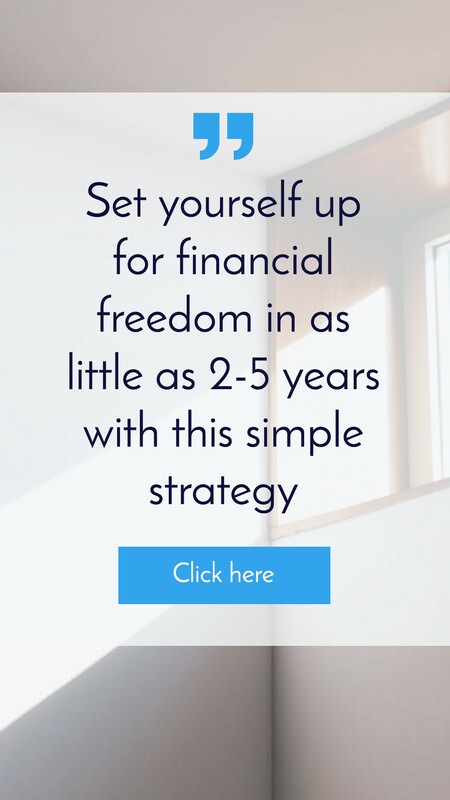 Go over there and request a free strategy session if you’re interested. That is it for me today, guys. Until next time, stay positive.